The Hon'ble Supreme Court of India in its judgement and orders delivered on April 25, 2013 in Civil Appeal No. 1145 of 2004 and Civil Appeal No. 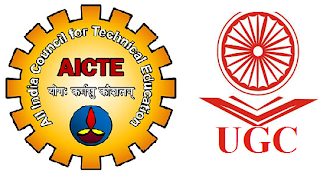 5736-5745 of 2004 has ruled that colleges affiliated to a University do not come under the purview of the definition of "Technical Institution" as defined under Section 2(h) of the AICTE Act, 1987. Under the circumstances, it has become imperative for the universities and UGC to evolve a suitable methodology to ensure that existing technical/engineering colleges affiliated to universities do not dilute standards of technical education imparted by them. In view of the above, UGC has prepared the draft Regulations on Technical and Professional Education hitherto regulated by AICTE. UGC has posted these Regulations on its website www.ugc.ac.in with a view to soliciting comments/ suggestions from the universities/colleges as well as other stakeholders. As per UGC Public Notice F.No.14-9/2013(CPP-II) Dated : 03.12.2013, available in the UGC website http://www.ugc.ac.in/ugc_notices.aspx titled, 'UGC Draft Regulations on Professional and Technical Education' Published on 07.12.2013. The "UGC Draft Regulations on Professional and Technical Education" is having 145 Pages with the norms and cadre qualifications of faculty positions. and also having the all requirement details.